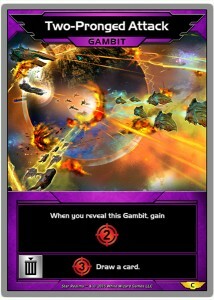 When you reveal this Gambit, gain 2 Combat. Scrap: Add 3 Combat. Draw a Card.